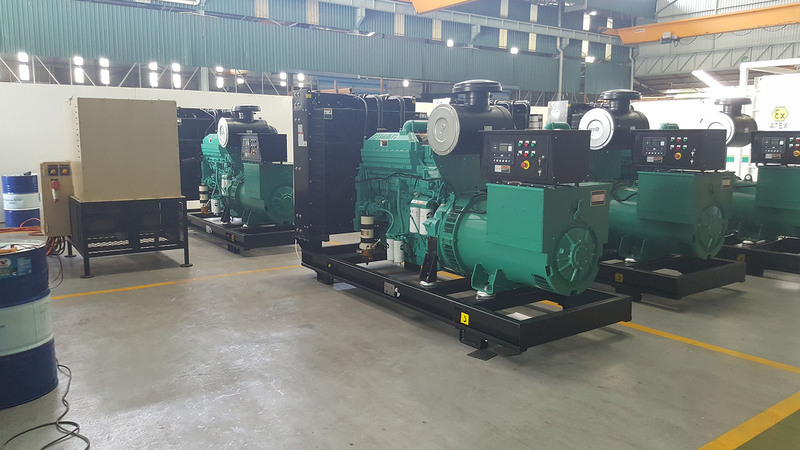 We supply generator machines and provide technical training to MIT at Termeloh, Pahang. The machines require huge volumes of energy (500kva) to perform. Twelve unit of various Cummins Generator were installed. The Cummins machine were 100kva set, 200kva set, 350kva set and 500kva set. We are one of the leading supplier of diesel generator in 1kW – 2,000kW market. “A standby generator is a back-up electrical system that operates automatically. Within seconds of a utility outage an automatic transfer switch senses the power loss, commands the generator to start and then transfers the electrical load to the generator. The standby generator begins supplying power to the circuits. After utility power returns, the automatic transfer switch transfers the electrical load back to the utility and signals the standby generator to shut off. It then returns to standby mode where it awaits the next outage. To ensure a proper response to an outage, a standby generator runs weekly self-tests. Most units run on diesel, natural gas or liquid propane gas.